For all information on lodging, transportation, agenda, etc. Check the Summit Navigation Menu above! 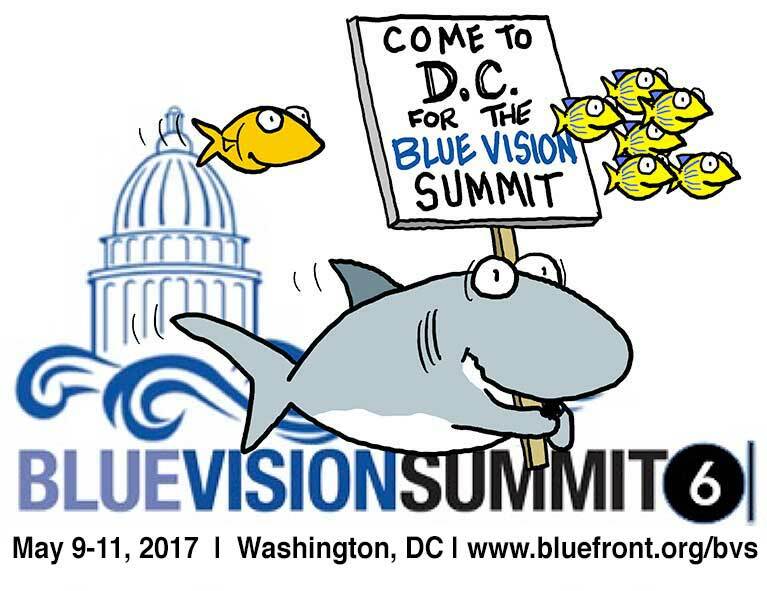 Blue Vision Summit brings ocean conservation leaders together every two years to network, build the blue movement and meet with the Administration and Congress to restore the blue in our red, white and blue. 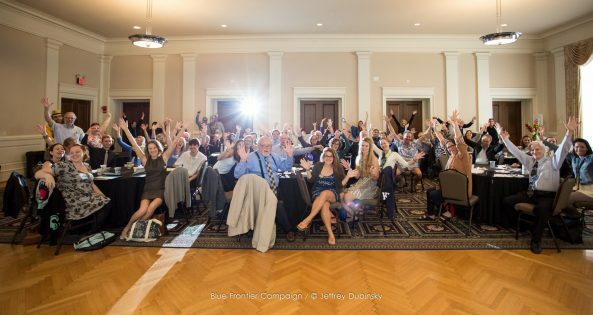 This spring some 500 people from local, regional and national groups, scientists, explorers and others will attend the Summit that will include a Healthy Ocean citizen lobby on Capitol Hill which will be immediately followed by a post lobby briefing at the Mott House. 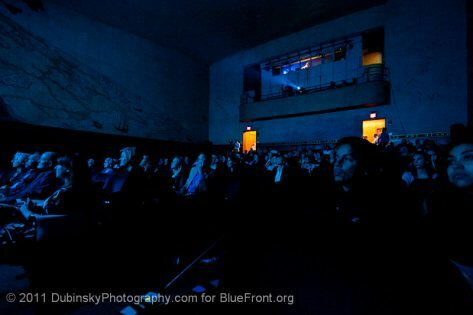 The 10th annual Peter Benchley Ocean Awards (PBOA) will take place Thursday May 11 at the Sant Ocean Hall. Called ‘The Academy Awards of the Sea, the PBOA recognize leaders from many walks of life finding solutions to the threats facing our blue world. 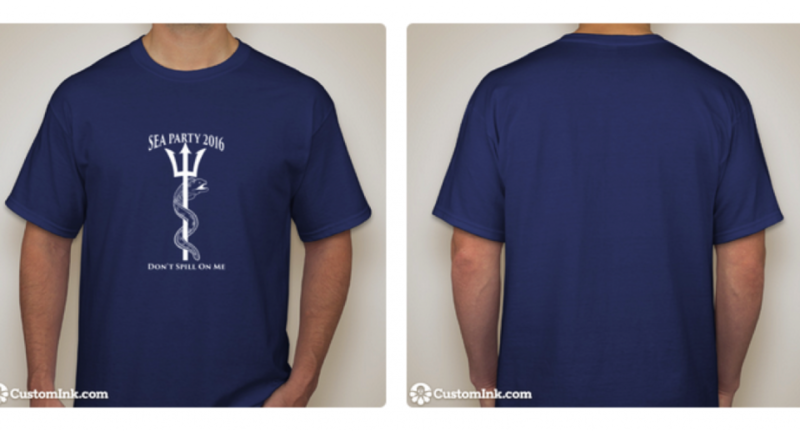 The Awards are separate from the Blue Vision Summit, your ticket to the Summit does not include access to the Awards. The 2017 Summit could be the most important of our lifetime. We are going to have to defend the health of our public seas from an Administration and Congress that denies climate change impacts while promoting offshore drilling and pro-polluter policies. We need to build our blue movement so that it can turn the tide for productive seas and communities. These priority areas are not to be construed as neglecting or ignoring other critical challenges, such as restoring marine wildlife, promoting sustainable fisheries and marine farming, addressing ocean acidification and nutrient pollution, and many others that we still face as a maritime nation and blue world. That’s why we hope you’ll join us, Dr. Sylvia Earle, NRDC, Clean Ocean Action, Surfrider Foundation, Greenpeace, Oceana, Colorado Ocean Coalition, and many others at the 6th Blue Vision Summit in Washington D.C. May 9-11. As with every year, we are looking for maximum citizen engagement. 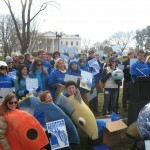 We want people from all walks to life, every state, every political background, students, marine conservationists, concerned citizens, etc to join us in the fight to protect our oceans and the communities they support, both marine and terrestrial. Those who attended BVS5 and the PBOA8 included: Prince Albert II of Monaco, Dr. Sylvia Earle, Coast Guard Commandant Adm. Paul Zukunft, Coast Guard Vice-Commandant Admiral Peter Neffenger, NOAA Administrator Dr. Kathy Sullivan, NOAA Marine Sanctuaries Director Dan Basta, Rep. Sam Farr, Ralph Nader, Senator Brian Schatz , Senator Sheldon Whitehouse (invited), Legal Sea Foods CEO Roger Berkowitz, National Aquarium CEO John Racanelli, Fabien Cousteau, Celine Cousteau, Wyland, Wendy Benchley, Enric Sala, J. Wallace J. Nichols, Anne Doubillet, Louie Psihoyos, Don Walsh, Dr. Jane Lubchenco, Dr. Ayana Elizabeth Johnson, Nigella Hillgarth, Chad Nelson, a 90-foot inflatable Blue Whale named Mz Blue, and ocean lovers and defenders like you!